Re: How did you discover UnReal World? -- 10 choice poll First saw this game at Jef's 10/12 hour streams, found a pirated version after that, played it for 6 more hours and bought the lifetime membership the next day. Re: How did you discover UnReal World? -- 10 choice poll I first heard about the game on the Bay12 board. Re: How did you discover UnReal World? -- 10 choice poll I found the game by doing a google search for a game that was similar to one I was playing. I hated the way the developer of the other game was implementing things and when people asked him what he was doing, he said "It's my game and I will do whatever the hell I want. I don't care what people want." So that statement prompted me to do searches to find a game similar to it. I found UnW and I have not been disappointed. Re: How did you discover UnReal World? -- 10 choice poll Rock, Paper, Shotgun did a post about it a long time ago. That was the first I'd heard of it. Re: How did you discover UnReal World? -- 10 choice poll Had to go and search email archives when I bought UrW. Seems to have been in summer of 2007. So it is 10 year anniversary of full game for me. That doesn't however tell when I found UrW first time, I played it quite long time (years) with demo before Windows version came, and I decided it is time to make next big step in this relationship. It is nice to get messages now and then about changes in forums and new version, it always brings me back to this game. Re: What do you like to cook in real life? I rarely cook anymore since I got married. My wife is just far superior in every way so me doing the cooking is almost a disappointment. But every now and then I like to smash out something special like back in the good old days (when she worked and I did the cooking). Some of my specialties include a chicken pot pie, the 'gravy' filling is all natural juices from the vegies and chicken so is simply delectable. Puff pastry is the way to go. Another favourite is pannacotta for desert. I set some jelly (Jello to you americans) in the glasses overnight with them on a diagonal and then put the pannacotta in the next day to set. Leaves a beautiful looking but very simple dessert. But my best dishes of late have been using the French Black Perigord Truffle. Something as simple as a pasta carbonara with a little bit of fresh truffle grated in adds the most wonderful deep earthy flavour. 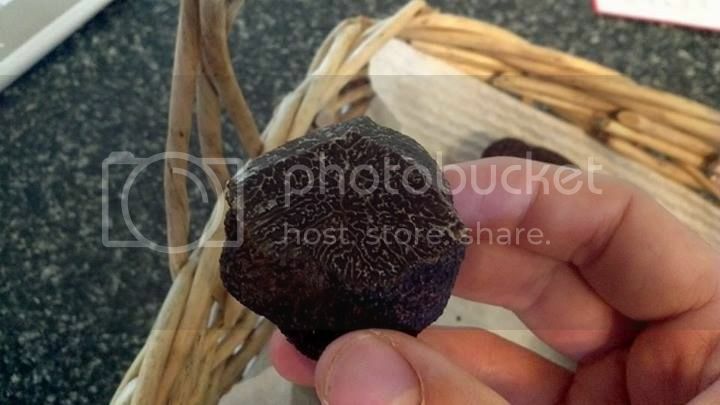 No pictures of my dishes but I do have some of the truffle I grow. Hey Sami, everyone- UnReal World got noticed by Guru Larry! Figured I'd share this with everyone since it was so awesome to see it get mentioned by someone who's been in the business for decades, and recognizing your hard work: https://www.youtube.com/watch?v=t1n2OBm6hIc Though, he does say that URW has been in "development hell", that much at least I don't agree with. Re: Hello world, hello forums Hello and nice to see you again! Good luck with the new place!